Bonni Ross is based in Roberts Creek, BC and currently spends half the year teaching in Nelson, New Zealand. 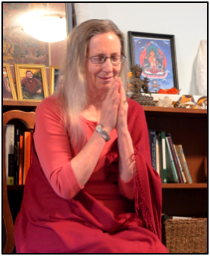 Conscious development of spiritual community has been a lively part of the engagement she, with her partner Matthew Eades, has with students in Canada and New Zealand. 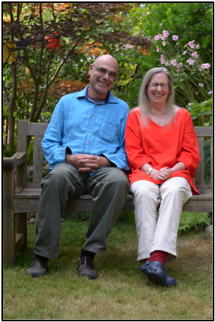 Bonni and Matthew have extensive experience working in the world and this, plus idiosyncratic senses of humour, informs a practical, integrated approach to committed practice. “The world is my cloister” is the motto of Sunshine Coast Retreat House. 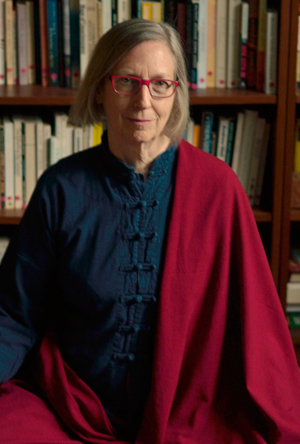 Bonni began exploring the teachings of liberation in the early sixties. 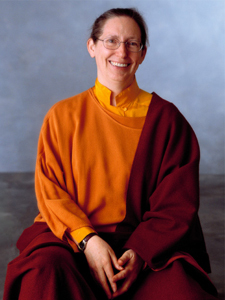 In the mid 70’s she met her principal teacher, Venerable Namgyal Rinpoche, whose direct, eclectic teaching and example are central to her life. The encouragement of His Holiness the 16th Karmapa, teachings from many great Buddhist masters, and innovative westerners like Fritz Perls and Buckminster Fuller have had direct influence, as well as artists, composers, scientists, poets, dancers, philosophers and mystery writers too numerous to mention. Her inspiration comes from “ordinary” people who demonstrate exceptional courage and compassion in the midst of great suffering.